Tick tock, tick tock, summer is counting down but I'm not ready to let it pass. So I'm making sure to enjoy every warm, sunny moment and eat all the summer watermelon I can before it's all gone. 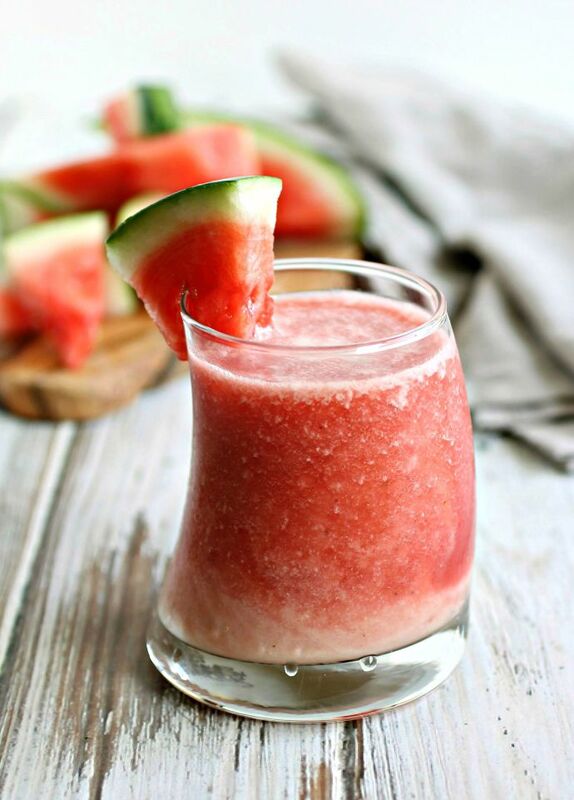 And if there's anything better than eating watermelon, it's drinking it. This fruit was tailor made for summer cocktails. To me, the king of all summer cocktails is the tropical pina colada. Icy cold rum, coconut cream and pineapple juice make such a heavenly combination. A lava flow is a strawberry variation where the fruit and coconut cream flow together. So why not a watermelon version? The idea sounded amazing. 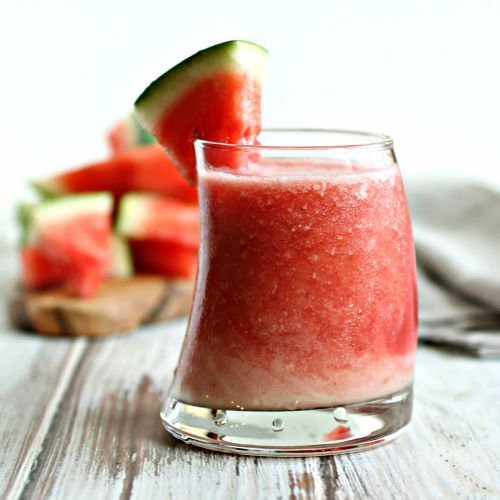 Because watermelon has such a high water content, it needed the banana to help thicken the fruit base. And the banana also ended up adding another layer of wonderful tropical flavor. 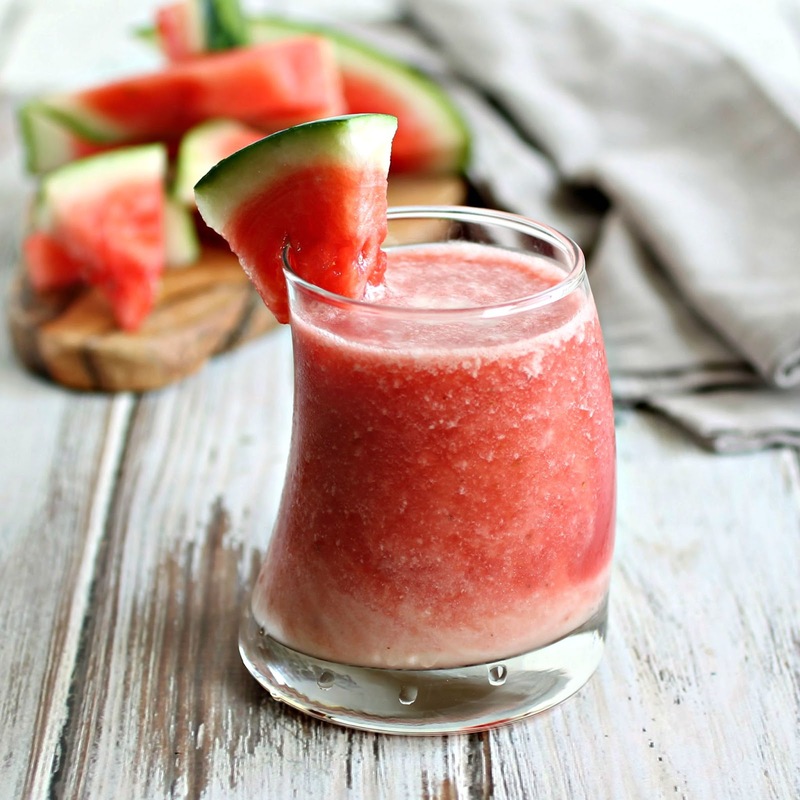 Pina coladas go down dangerously easy and this watermelon lava flow is just as addictive. I'll be drinking these until the last bits of summer are gone. Cheers! 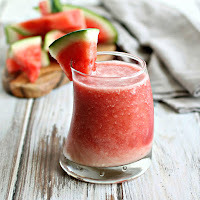 Add the rum, frozen watermelon and frozen banana to a blender and puree until smooth. Pour the mixture into a chilled cocktail glass and set aside. Add the pineapple juice and cream of coconut to the blender, fill with ice and puree. 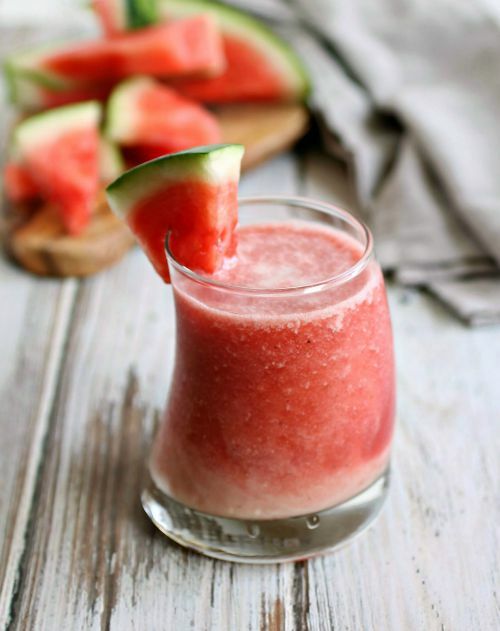 Pour the mixture over the watermelon and banana puree. Garnish with a slice of watermelon, if desired. For more information about watermelon, nutrition and recipes visit the National Watermelon Board. This recipe was sponsored by the Watermelon Board. Thank you for supporting the products and foods I love and use in my kitchen. Love this! Sounds like a perfect summer cocktail! Love your photos!